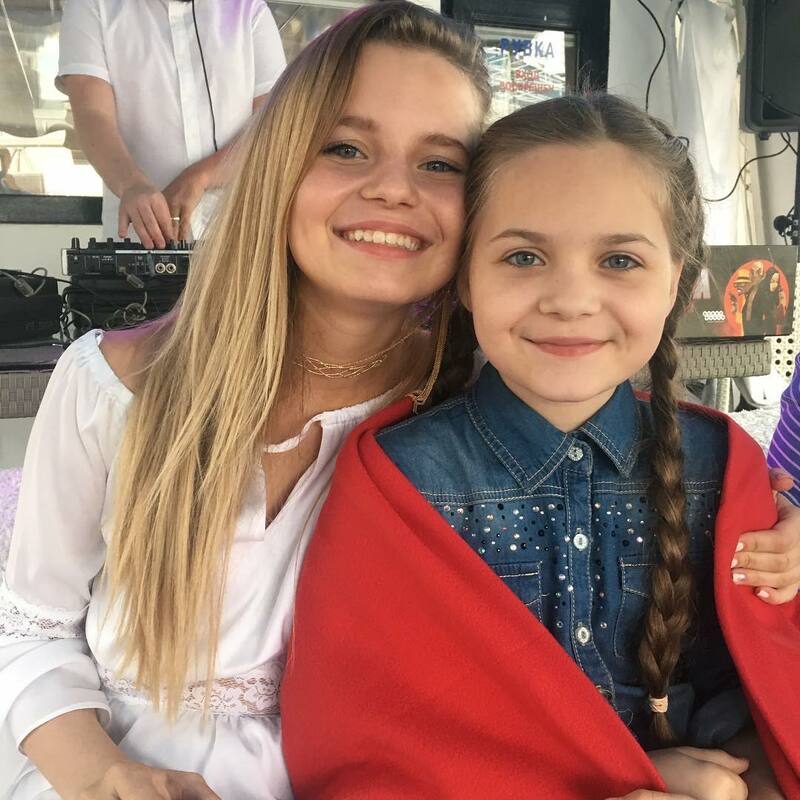 When Alisa saw a little girl among the audience who knows the song White Hero, Alisa wanted to sing along with her and the touching duo happened. Here is the Kalingrad fountain opening from Garth C on the vk network. This one is on youtube. The video size seems larger. Great new video and some very interesting comments! I recorded a new song "You are with me". Under the impression decided to make a photo shoot. And the weather turned out to be the most suitable for this! Shooting in the city of Sosnovy Bor. Until 2013 the city was in the border zone and it was possible to enter it only by pass. The white sands where the surveys were conducted are a meteoric crater. Up to a hundred years, inside - not a single tree. Thirty years of observations confirmed that biopathogenic radiation inside the crater does not allow sprouting seeds of trees and shrubs. Soon the song is in iTunes, Google Play and other digital sites. Thanks for Viewing, Like and Subscription! Alisa posted this video, which begins playing at her performance. You can also catch Maria Panyukova at the 2:08:00 mark and Arina Danilova at the 2:56:00 mark. I don't know if this has been posted. If it has, it wouldn't be the first time I posted something that has already been posted. Charlie M wrote: I don't know if this has been posted. If it has, it wouldn't be the first time I posted something that has already been posted. It's from a few months back, but it's a great video and there is no such thing as too much Alisa! Thanks for that post, Charlie! That was awesome! I love that Piggy Show! I didn't know Alisa was a Math genius, so I also learned something new. A big sis for Yasya! 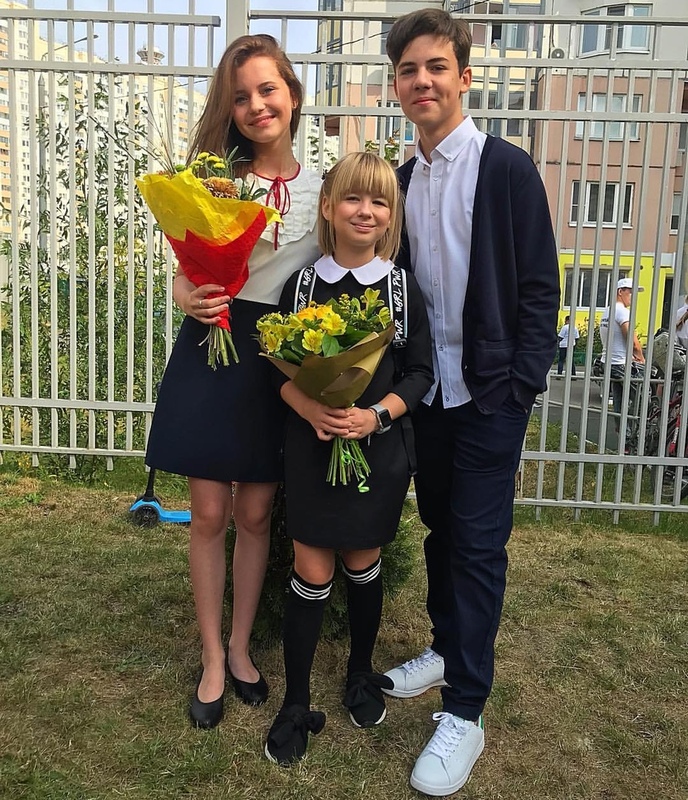 By the way, Aliska has moved to a new school and now she will go to school together with her friends Kirill Skripnik and Yaroslav Degtyareva! Alisa Kozhikina for the magazine "Magic Table"
Hello, dear readers! Today we have a new growing star on our visit, which has already achieved a lot. 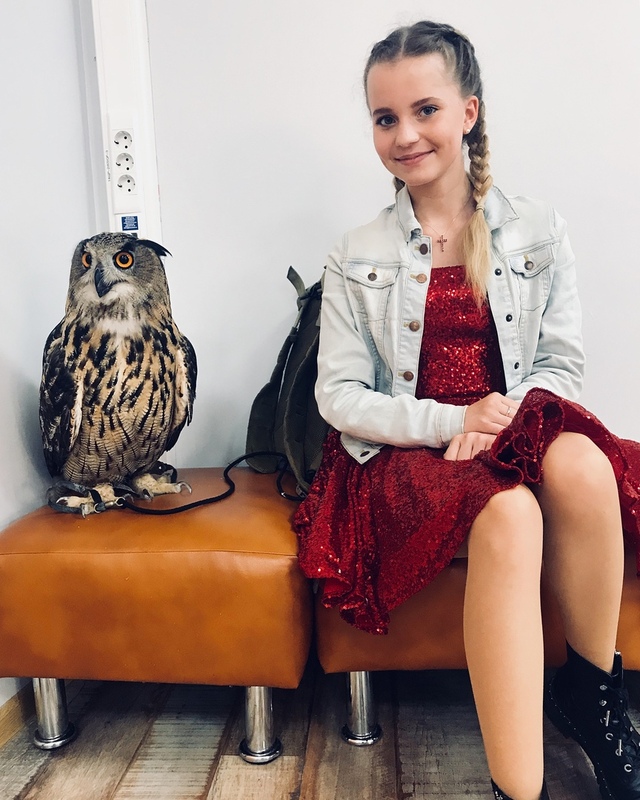 This is Alisa Kozhikina, she is 15 years old. Her name is familiar to you: the winner of the teleproject - show "Voice. 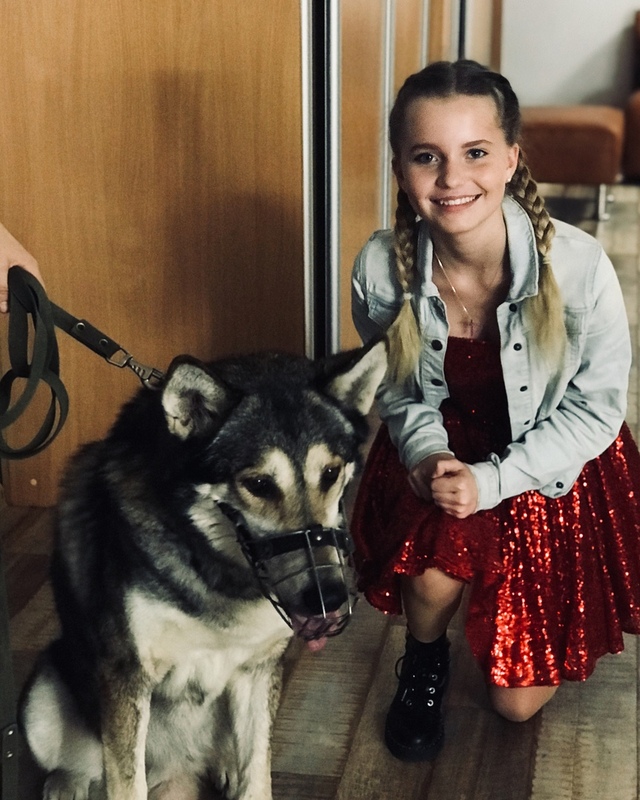 Children "in 2014, a participant of the Junior Eurovision Song Contest in 2014 in Malta, where she took the fifth place, a participant of the" New Wave Baby "project in 2012 and much more. Now Alisa successfully develops career of the vocalist, acts with concerts in different cities, is removed in clips, conquers fashionable podiums and searches for new ways for the talent. I wonder if Alice will become an actress in the future. Read, and learn everything!
" Hello, Alice." For starters, tell us a little about your family. Who especially helps you? Of course, the biggest support for me, as for any person, probably is my parents and my relatives. They helped me to believe in myself, to believe in myself. -I want to ask you about the project "Voice. Children ", in which in 2014 you became a winner. Was it difficult to persuade your parents to participate in the project? How did you get your "lucky ticket"? Frankly, my parents did not immediately agree and even tried to dissuade me. But, apparently seeing that my desire was not a momentary hobby, they supported me, and we sent the application on my birthday. - The project under your wing took you a wonderful singer and composer Maxim Fadeev. Tell us about the vocal lessons and how quickly you became friends. Are you currently working on any projects? It was very easy to deal with Maxim Alexandrovich. He has found some approach to each artist, this is a very sensitive person and a musician with a capital letter. Rehearsals with him did not just pass, they flew by as one moment. But at the same time he was very demanding, he did not give a descent to anyone. After all, the preparation of the number was given very little time, just a few days. And it was necessary not just to prepare the song, but to put a beautiful number. So, to get into the very heart of the viewer. We, after all, look at the performer and listen to get emotions, and not to listen to how technically he knows the voice. - Was it difficult to keep the friendship with the participants of the TV project against the background of competition to the final stage? Communicate now? Of course, we realized that with each stage there are fewer and fewer children and the winner will be selected only one. But we, on the contrary, tried to support each other, realizing that not everything depends on us, it's a competition. And we were all so different that it was impossible to say that someone better, someone worse. Moreover, in the final the choice remained for the viewer. With many guys, we communicate and are friends so far, very often we meet at public concerts and festivals. For example, with Ivailo we together participated in the New Year show in Moskvarium, worked there for a month. Music was written by Maxim Fadeev, and Olga Seryabkina helped me write the words. The news that I was chosen to represent Russia at the Eurovision Song Contest came unexpectedly. At that moment I was on tour and did not understand what was going on, because everyone rushed to congratulate me, and I still did not even know that I was chosen. After returning after the concerts, we plunged into work. To support me in Malta, my teacher on vocals Elena Korsakova (at that time Terekhova) went with me. We rehearsed several times a day, I felt that I was responsible, and I do not know where I got the strength, but it seemed like a second wind had opened. Once there was an amusing incident: when we rehearsed, Lena asked me to breathe in all the energy, and at that moment the light in the entire hotel went out. - And what do you think, in order to sing the best and win, what song is better to choose: favorite or the one that most suits your voice? I believe that there is no universal means. After all, a performer, an artist is not only a voice and vocal data. The history knows many examples, when the artist does not possess any strong vocal data, but the song performs so that the spectators goose bumps on the skin, that the soul is torn from the chest! That's what a true artist and professionalism means. - What thoughts did you attend before the performance, because thousands of people from different countries of the world watched this contest? Most importantly, I was thinking about giving my best, so as not to think later that I did not finish something. - But we will return to childhood, because here we begin to discover new ways for ourselves. With what feelings do you now remember about the children's theater "Listen to the heart" in Kurchatov, where your first lesson of singing took place? I have very warm memories with him, because it was there that my first creative steps began. And who knows how my fate would have developed if my mother had not taken me there. - Tell me honestly, is it true that you were very shy and quiet in the kindergarten? If so, how did you manage to make such a breakthrough and overcome these qualities? When did you first feel this? Yes it's true. I was very shy and almost did not communicate. And public statements helped me to be liberated. I was also recorded at home on video, which survived, I remember how I performed the "Old Piano" in 3 years. The first success came in 6 years, when I received the prize in the contest "Princess of the Year", I then read a poem. - I want to learn more about your work at the present time. The hit of the children's and teenage audience was the song "I'm not a toy", the clip to her over a year gained more than 50 million views. Tell me, how were the filming and did you like to feel like an actress? Filming took place in St. Petersburg, filmed 2 days. It was a very laborious, but interesting work. As for the very idea of ​​the clip, we together discussed not only the idea, but every scene, every detail. I believe that in joint work there can not be an imposition and "do as I said." In any case, work with me is a joint creative process. We have finalized some details. This was not the first experience in the filming of the video, and of course, I really liked it. - And what are your plans for the future now and what are you planning to become? Will you please fans at new international competitions? While I have all the strength left for study and creativity. I think that in one way or another I will be connected with creativity. I, of course, really like to sing, but I already tried myself in other roles: voiced the main character in the adaptation of the American musical "Annie", performed soundtracks for the cartoon "Fortress" and for the animated series for girls "Princess Sisi", voiced the heroine of the cartoon "Super Kroshki", participated in the New Year's play "Alice in the Wonderland of the Safronov brothers" and played the main role there. Recently participated in the competition WorldSkillsJunior in sound engineering and took second place there in Moscow. I also want to try myself as an actress and do a movie. - Recently you have pleased the fans with a new song "White Hero". Do you have your experiences or feelings associated with it? In every song I perform, whether it's a cover or an author's version, I find my emotions and experiences. To convey something to the viewer, you first need to feel the mood itself. Even in the same song, but sung at different times, I can put something new, because life does not stand still. - Now you give numerous concerts in different cities. And have you ever tried to calculate how many such performances have already taken place? Perhaps, it is very difficult. But I traveled all over the country, I managed to visit even the Far East. It is, of course, amazing to be at the other end of the country.
" So many classes!" And how do you manage to combine creative life with study? How are things with the grades in school? The schedule, of course, is very rich, often you have to get out of school and skip them. But I take books and books and travel on my own. Last year I finished on "excellent". - Are we talking with you all about the lessons, but there remains at least a little time for rest? There is very little time left for rest. But what is rest? For some, rest is not doing anything, I can not do it. In my free time I like to walk, go to the cinema with my friends, read. - I know that you got some new songs that are not in the first album. Tell me, please, in more detail, what's new in your repertoire now? Currently working on the second album, there are no names yet. But most of the songs are already recorded. The songs are completely different, and the themes of the songs are very close to me and to my listener, because they are about the experiences of teenagers, about what is happening to us. - Everything happens in life: we win, we lose. And when you do not become a winner, what do you usually say to yourself? For example, participating in Eurovision, I was not upset. Of course, I wanted to win, but all the participants were very strong, and indeed, I did not think that I would go to Eurovision. I think it does not matter what place it got. After all, there are a lot of successful artists who have never won at all in any competition, and they collect full halls. And it happens on the contrary, the winner is not remembered in time. Important is not the victory at the contest, but what you do after the contest. It is very important not to stop on the reached and continue to work. And it happens that the participant won the contest, and decided that everything, nothing else to do is not a big mistake. Because the competition is only a stage, a springboard. - What is your main slogan in life? Never stop and go to your dream. - And finally, do you want to wish young talents? 1. It is necessary to remain yourself. In any situation and in any business. You do not need to imitate anyone. After all, a copy will never be better than the original. Certainly, it is necessary to look at others and take for yourself something to note, but to do only the way you feel, because it's your feelings. If we talk about the performance of the song, then I can not sing the same song twice equally, what then can I say about the performance of any composition by different artists? After all, everyone puts their experiences, their meaning in the song. 2. Never compare yourself with others. Comparing yourself with others is a big mistake. Each of us is individual, and if we compare ourselves, then only with ourselves. That is, what was before and what you have achieved now. Only in this way you can achieve results and success! 3. Do not try to do what you are told or what seems prestigious. Each of us has a talent and a love for something. And when what you do, do with soul and with love, everything works out, you just need to listen to yourself. - Alice, thanks to perseverance, talent, diligence, perseverance and love for music and creativity, I am sure that you will definitely conquer new peaks for yourself, because "there is no limit to perfection"! I wish you success and all the best, most importantly, do not forget to rest.